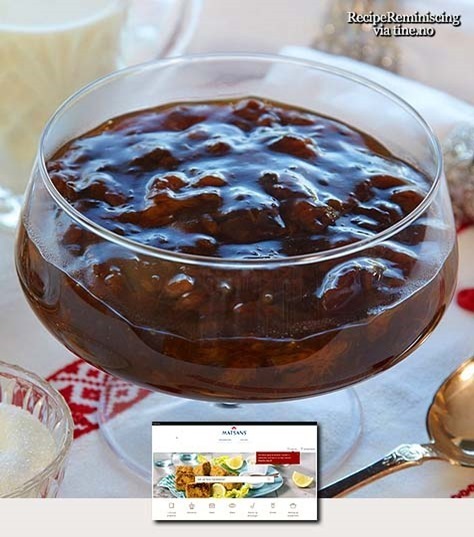 * Keep in mind that the prunes must be soaked in cold water, usually overnight or at least for a few hours. Let the prunes soak in 8 dl / 1,6 pt of cold water, usually overnight or at least for 2-3 hours. Boil the prunes in the water with the sugar for 20-30 minutes. Remove the saucepan from the heat when the prunes are tender. Stir together potato starch and cold water for the thickening. Pour the thickening into the saucepan in a thin jet while stirring constantly. Put thensaucepan back on the heat and bring it to a boil Cool. Mix cold milk and cream and serve it with the porridge.